It was challenging to find a fitting name for this smoothie bowl recipe as there’s a lot going on here. Practically every superfood currently in my kitchen got featured in today’s breakfast. With properties such as being low glycemic, high in protein (34 grams) and high in fiber (24 grams), this is a healing breakfast for PCOS-fighters. I usually keep chopped fruits and veggies in the freezer ready to go for smoothies. 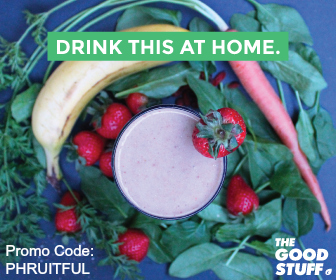 Not only does this make smoothies colder, but also thicker. Nut butters will also help thicken smoothies. Have fun dreaming up your own smoothie bowl masterpiece and please share your creations with me in the comments below. Blend almond milk, ice cubes, and banana in a blender until smooth. Slowly add kale, ginger, protein powder and peanut butter blending after each ingredient. Pour into a bowl and top with any fruits and seeds you have in your kitchen. Great ingredients! And great flavour! 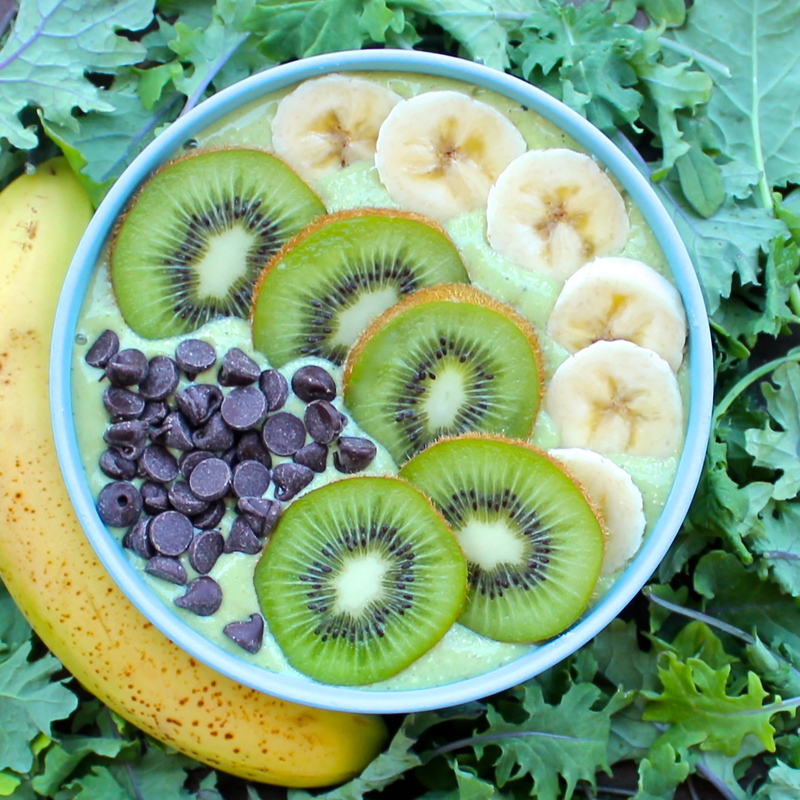 What a great smoothie bowl! So many wonderful ingredients, good and good for you! Thanks for sharing!